The structure indicated is the trapezoid bone of the hand. It’s easy to confuse the location of the trapezoid with the adjacent and similarly named trapezium bone. 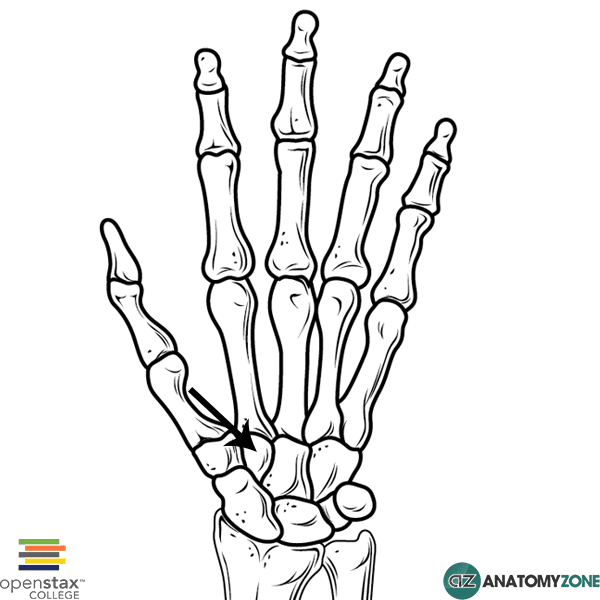 A way to remember where the trapezium is located is that trapezi-UM rhymes with thUMB, and therefore articulates with the 1st metacarpal of the thumb, the trapezoid bone lies just medial to it. Learn more about the bones of the hand in this anatomy tutorial.